When considering what massage lubricants you want to keep in stock, there are several factors to keep in mind. The type of modality you practice most often, whether scent (or lack of scent) is important, and whether or not any of your patients have allergies are just a few of the points to think about when it comes to deciding what products to keep on hand. Perhaps one of the most important factors is the viscosity of the oil or cream you are using. Different types of massage require different amounts of glide or surface tension and your choice of lubricant will make a big difference in the effectiveness of your work. Generally, thicker lubricants, such as lotions or creams, have a higher viscosity and so are better for deep tissue modalities, and thinner lubricants, such as oils, have a higher viscosity and allow for more glide with less surface tension. If you are in a spa setting and your client simply wants a “relaxing massage” you will most likely want to choose a lubricant with a low viscosity so there is less friction and more glide. Oils and gels are often the lubricant of choice for these types of massage. In addition to allowing your hands to easily slide across the patient’s skin, oils and gels can often be used as “carriers” for scents. If the goal is to help your clients relax, a scented lubricant could play an important role in the massage. Generally speaking, lower viscosity lubricants, such as oils, may stay on the skin longer. 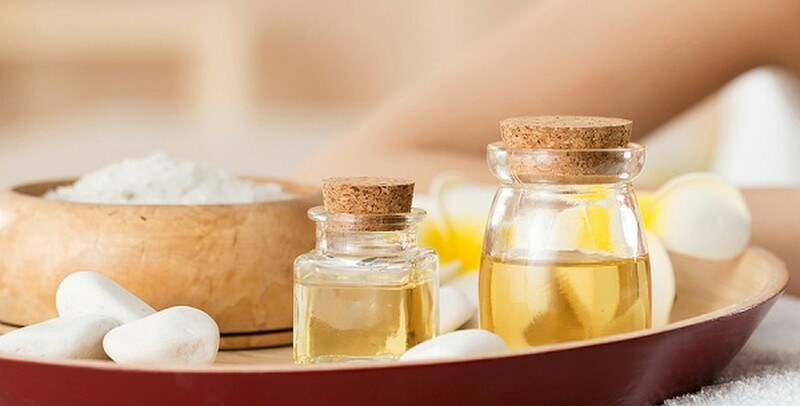 For a client who is returning to work, that oily feeling could be a bad thing, but for a client who is going to spend the rest of the day relaxing, they may enjoy the extra moisturized feeling that some oils can cause. If you are doing deep tissue work, then you will want less glide and more drag so that you can focus on specific areas. Higher viscosity lubricants, such as lotions or creams will be more helpful for sports massage, Swedish massage, myofascial work and trigger point therapy, among others. Without any lubricant, the patient may feel discomfort, but too much glide and it will be difficult for the therapist to find the tissue that needs work. Keep in mind that creams cannot be pumped in the way that oils can be. Their thickness means that they will have to be squeezed from a tube or dipped from a jar. If you are using a jar, the cream for each massage should come from a clean jar. This is something to keep in mind on days when time is a concern. Finally, the cost of lubricant, per treatment, should be taken into account. Very few therapists are volunteers; making a living is usually an important factor! Choosing the best lubricant for the individual patient’s situations should come first, but it’s a good idea from a business perspective to think about cost. Comparing the quality of ingredients, your own preferences, and your clients’ experiences, along with costs, will help you determine the best lubricants to keep on hand in your practice.